This Pomsky breeder has over 13 years experience in the canine industry. They are based in Grass Valley, CA on a six acre ranch and breed their Pomskies in home. Breeding for them is a family affair with every member closely involved in the process. The owner has done extensive researching in breeding Pomsky puppies. They put the health and temperament of their puppies above anything else. Their Facebook page is constantly updated with pictures and puppy information. Northern California Pomskies is owned by Ashley and they are a member of Pomsky Club of America. 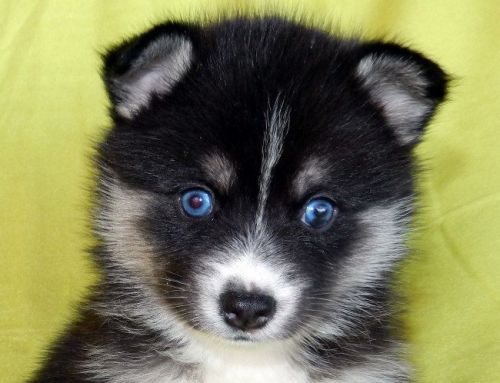 Pomsky prices are based on puppy markings, eye color, size, coat quality, and breed ratio. Breed ratio is how much of each breed is in the puppy. The Pomskies half Husky and half Pomeranian are $1,800 to $3,000. They also have puppies that are 75% Pomeranian and 25% Siberian Husky. These pups on average are smaller and can be as much as $3,500. As with most Pomsky breeders Northern California Pomskies doesn’t necessarily offer full price range. 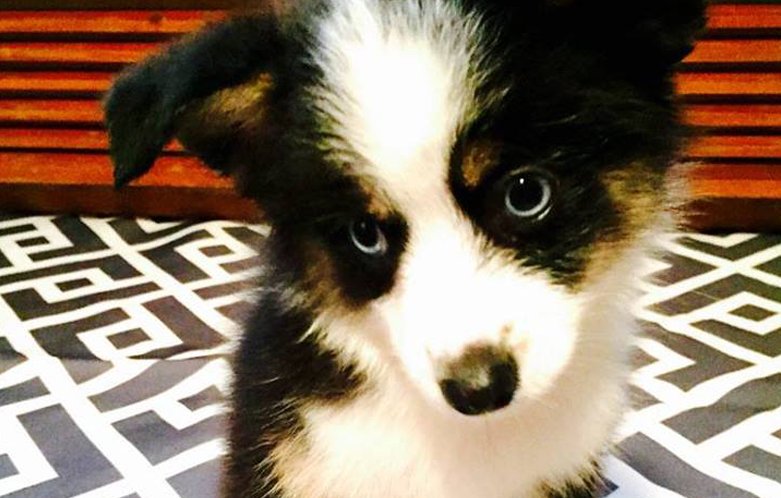 Once they know puppies are on the way a potential Pomsky owner can fill out an application. Once Northern California Pomskies approve your application you will need to put down a $500 deposit. These deposits are transferable but non refundable. What this means is if you don’t select a puppy from the current litter, a puppy doesn’t make it through the birthing process, or they decide to keep the puppy to further the line, the deposit will go towards the next litter. All approved people on the waiting list will get a puppy but are asked to be patient. Every litter expected has a waiting list limit of 5 deposits. This helps keeping anyone on their list from having to wait too long for their Pomsky. Once the Pomskies are born they will wait until the puppies are 5 weeks old. This is when the puppies’ traits become more apparent. At this time Northern California Pomskies will post their puppy pictures and prices. Once the pictures are out the breeder will contact the people on the waiting list so they can pick out their forever friends. The picking order on their waiting list is done in deposit order. If they do try and get in contact with you be sure to call or email them back quickly. Each person on their waiting list will have 24 hours to pick out their Pomsky. After that the breeder will move down the list. Like with most breeders Northern California Pomskies reserves the right to pick out a puppy or puppies before this process starts. This is done so that they can best continue the line and provide more happy healthy puppies. Once you have picked out your Pomsky you will need to pay the remaining balance in full. This will need to be done before the pups turn 6 weeks old. If you can’t pay for the puppy by then your deposit will be transferred to the next litter. The reason for this is because they want to make sure all puppy arrangements are made before the Pomsky turns 8 weeks. Northern California Pomskies is located in California but do offer shipping. There is an additional cost of $300 for United States and $500 for Canada. They will make the arrangements. All you need to do is pick up your new puppy from the nearest airport with a photo ID. Breeding a Pomeranian and Siberian Husky is not done naturally. This would be potentially dangerous for both the sire and the dam. Their breeding process is done through artificial insemination. This is done in a reproductive facility for safety and high pregnancy success rates. Northern California Pomskies require all owners to provide proof that their Pomsky is neutered or spayed by the time they are 6 months. If you want to purchase a Pomsky that hasn’t been fixed you will need to get approved by Pomsky Club of America. Once you are approved you will need to pay an additional fee of $1,000 for breeding rights to the breeder. The terms of this agreement will also include giving them second pick at your Pomsky’s first litter.